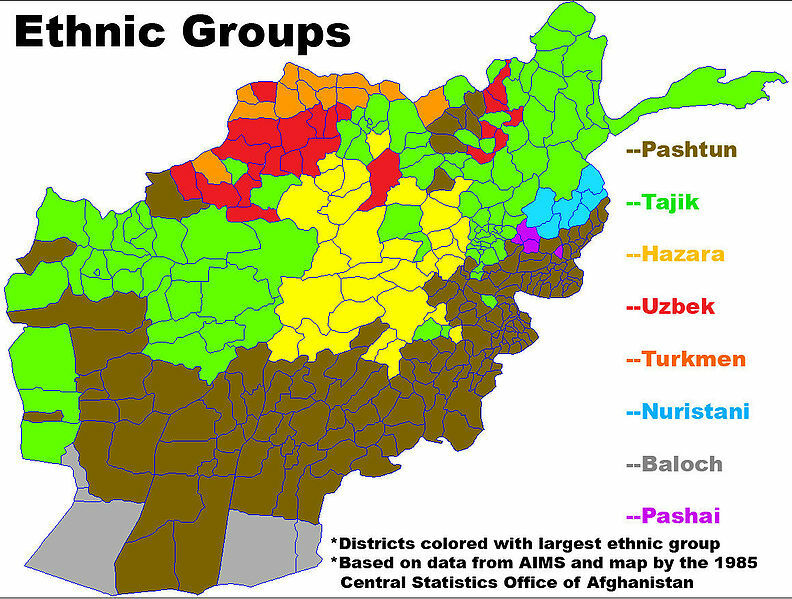 The Pashtun get their own country in southern and eastern Afghanistan AND a good part of Pakistan. Pakistan, in turn, gets whichever parts of Kashmir that vote to leave India and join Pakistan in a special election (with say a 60% threshhold per district). *I was not in favor of partition in Iraq because the non-Kurdish Sunni in the middle of the country have no resources to share. 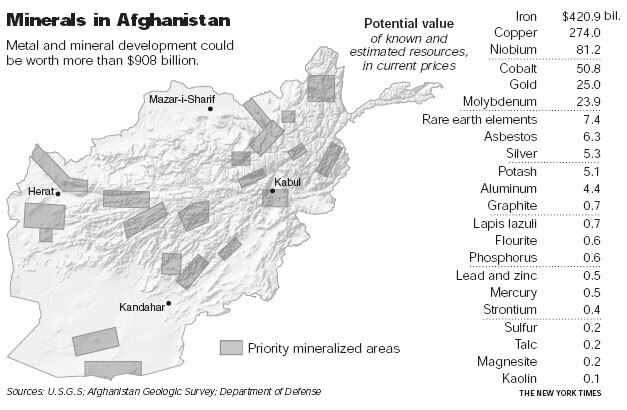 Afghanistan, it seems, IS FULL OF RESOURCES! About a trillion, including rare earth minerals. Afghanistan might be one of the poorest countries in the world after 23 years of devastating war. However, its rugged terrain still houses probably some of the most precious wealth on Earth. The point is, the widespread abundance of resources throughout Afghanistan should make it especially suitable for peacable partition. This entry was posted in news, politics, Uncategorized and tagged afghanistan partition, afghanistan solution, it's bloody obvious!, kashmir, kasmiri plebescite, pakistan problem, pakistan solution, pashtunistan by Alan Brech. Bookmark the permalink.